The Berbera Tripartite Concession Agreement which Somaliland entered with the DP World of the United Arab Emirates and the Ethiopian Government is hailed by many Horn of Africa international analysts as a game changer: for Ethiopia as a major breakthrough in securing a stake to the strategic Berbera Port; for Somaliland in opening its first major inlet to the global economy and in creating a significant potential to break the political deadlock for its quest for international recognition, and for the Emirates, it is a major achievement in its drive to project as a regional power in the Horn of Africa & Middle East geopolitical overlap. Internally in Somaliland, the deal attracted a lot of controversy in the beginning, mainly due to the lack of transparency in its incubation period, and perhaps because the financial figure mentioned in the deal (US$ 442 million), was below the expectation of the Somaliland people. However, looking at the bigger picture, the development potential that could be realized in this Tripartite Agreement is immense. This partnership is also in tune with the unprecedented regional and global mega wealth creation trends underway. The investment of US$ 442 million is expected to bring the Berbera Port capacity to competitive international standards. At present the port handles, 150,000 TEU containers per year, but with such investment its capacity will expand to 1 million TEU 20 and 40 foot mixed container units. The port expansion project will take place in two phases, the first being the construction of 430 meter berth, which can dock two vessels at any time. The complete expansion will bring the port capacity to 800 meter berth length which can accommodate five vessels at any given time. The port extension is expected to be completed by 2020. According to Temesgen Yihunie, Ethiopia’s Logistics Coordination and Monitoring Director at the Authority, Berbera is planned to handle 30% of Ethiopian import/export business. The Deal includes a 12.2 km Economic Free zone, modelled on Jebel Ali Free Zone (JAFZA), to attract trade and investment in the warehousing, logistics, manufacturing and related businesses . The Horn of Africa due to its location in the globe, which can be claimed to be the belly-button of the globe, has been a coveted region for control in the history for the world powers and still is today. In the expansion of European powers to colonise Africa, the Horn was a prized territory whose attraction was further enhanced by the prospect of the geo-strategic value of the Suez Canal, as well as its commanding position in the passage to India and to the historic Christian Empire of Abyssinia. So, we could say there was a localized scramble for control of the Horn of Africa in the late 19th Century between the British, and the French and Italy as a late comer, dividing among themselves territories along the Red Sea, Gulf of Aden and East Africa. Before the advent of the European hegemony in the region, the coast was also under the sway of the receding Ottoman Empire. In the Two-polar Super-power world of the Cold War era (the USA and Soviet Union), the Horn Africa was also a territory seriously contested, whose geo-strategic control was sought by both sides. During that period, the region’s importance was further enhanced by being adjacent to the Arabian Gulf oil producing region and its main supply route to the Western countries. The Soviet Union due to its alternative ideology and being free from the baggage of colonial history, challenged the traditional western dominion in the region, winning to its side newly independent states such as Egypt in the upper reaches of Horn and home to Suez Canal, and Somalia which possessed the longest coastline in the region and offering geostrategic advantage of both the Indian Ocean and Gulf of Aden maritime routes and Ethiopia, which also by becoming the seat of the Organization of the African Union, added to its historic importance. These countries all started in the 1950s and 60s as solid members in the western camp, but later started to hedge their bets with the Soviet Union as the best bidder in military support and also due to its affinity with new anti-colonial elites emerging from these countries. A clear example of this super-power competition is shown in the case of Berbera Port city. The port city’s strategic importance was utilized by the British even before fully occupying Somaliland “During the year 1890, an underwater cable was laid from Perim Island in the Gulf of Aden across to Berbera as part of a communication system linking England with Aden and beyond to India and Australia.” Later on Berbera housed the BBC East Africa Relay Station. At the height of the cold war era in the 1970s, Berbera became home to a major Soviet military base, but changed hands in the 1980s to serve as a US military facility, until the Somalia state collapsed. With the end of the cold war, and the onset of the era of mono-polar super power world order, the interest and international competition for the Horn of Africa waned. A new geo-political situation has also emerged in the Horn of Africa: Eritrea appeared on the scene after the break-up of Ethiopia, which rendered it a landlocked country after losing both the Red Sea port of Assab and Massawa. Somalia imploded, with Somaliland taking its own separate independence path, not yet recognized by any country, but with all intents and purposes, operating as a de facto sovereign state. The rest of the state of Somalia, after being in the doldrums for two decades with the exception of Puntland is now recovering into a Federal State system, with a weak Central Government and Regional States which in reality are their own masters and are able to carve their own powers within that federal system. A recent World Bank economic statistical analysis of Somaliland came to the following conclusions: in terms of Gross Domestic Product and Employment: GDP for 2012 is estimated to be US$ 1.4 Billion (current US$ prices); GDP per capita $347. In terms of sources of GDP: 29.5% is derived from livestock industry, followed by 20% from Whole Sale and Retail trade and 8.2% from Crop production. These are not encouraging figures, albeit being simply rough estimates. At least 45% of the population of Somaliland is directly linked to livestock rearing for their livelihood, an economic sector which is extremely sensitive to climate change. The traditional production system of this sector is dependent on two diminishing resources: Rainfall and rangelands. Rainfall is much scantier than accustomed to and is increasingly unpredictable, so much so, that new concepts such as “el nino” and “la nina”, both global climatic conditions which are attributed to the severity of both droughts and floods, are now becoming mainstream in the local climatic vernacular. The last several years of consecutive droughts starting from western regions of Somaliland and wreaking havoc last year with devastating effects in eastern regions of Sanaag, Sool and Togdheer have established the realization that droughts are no longer one catastrophic event per so many years, but are here to stay with a maximum of one or two years’ reprieve. That changes the core rural production system of livestock dependence for livelihoods of close to half of the population and the national development strategy, which also plans on at least 29.5% of GDP contributed from livestock. The anecdotal evidence from the eastern regions, where living off of livestock economy dominated as the source of income and employment to a major part of the population, is that families owning 600 heads in Togdheer may end up with only around two dozen heads surviving from the last drought, and in Sanaag, with normal ownership of 1000 heads, survival of less than 10 percent. Overall in the country, during the times of drought and the following years, the population experienced meat price hikes, which hit hard on the nutritional status of the poor; drop of livestock sales in major markets such as in Burao and Hargeisa, signifying the loss of sources of income for a large number of families in cities, loss of transport business for truck owners and loss of employment for export shipment infrastructure in the Berbera Port. 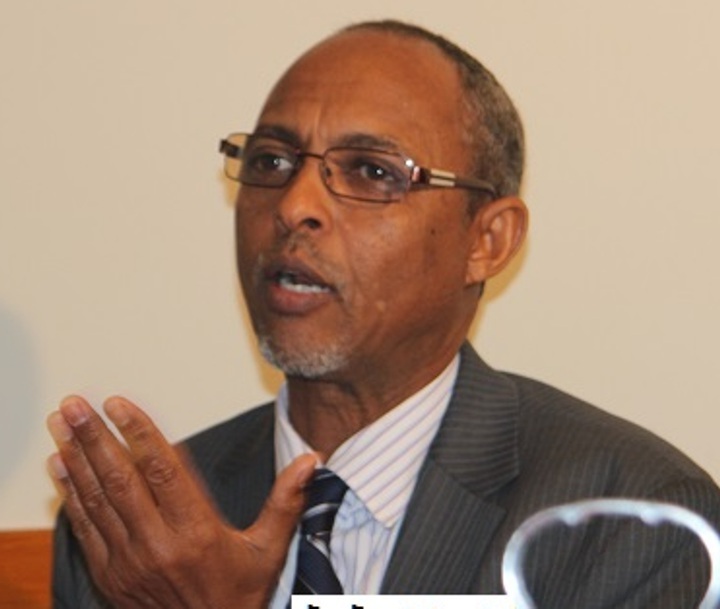 Above all, the drought means, the loss of vital revenue for the Somaliland Government, something that will definitely constrain the funding of the ambitious programmes expected from the newly elected President Musa Behi. The contribution to Government revenue coming from livestock exports in previous Governments was estimated to be 8 million USD in 2015. Apart from loss of Government revenue, the declining livestock sector as a source of sustainment directly or indirectly for over sixty percent of the population will mean an urgent challenge for the Government to find other livelihoods and employment sources. It will mean mushrooming urban poverty and risks to stability. Drought displaced people in the village camps now dotting Sanaag, Togdheer and Sool are already drifting to the cities to augment the population of already swelling slums in the capital city Hargeisa, and all other major cities, as a growing destitute urban population. As if that is not difficult enough, the recent cyclone, which hit both the interior and the coastal Awdal Region, left devastation unheard of in Somaliland along its path. It decimated the livestock herds forming mainstay of livelihood in the region; destroyed coastal settlements, swept the farming land turning it into a wasteland of gullies and dry wadies and felled the tree-level vegetation. The rest of the people who survived from the cyclone are destitute also expected to drift to cities. It is worth also mentioning that the remittances, which is long recognized as a prominent feature of Somali resilience driven from its kinship and extended family interdependences, is declining for various reason: first, the younger generation of the diaspora has no attachment to the support networks of the traditional Somali system, and secondly, the ease of its transfer is increasingly becoming a thing of the past as a result of the imposed Anti-Money Laundering (“AML”) and Anti- Terrorist Financing (“ATF”)) Regulations, whose compliance requirement are beyond financial and the technical capacities of the informal nature of the greater part of the Hawala system. The Employment situation, especially in the youth sector is grave. From ILO 2012 estimations , at the ages of 25-34 only 35% males and 15% female are employed. Adults are of no better situation, some estimations come to: for the 35-54 ages employment: male 42%, female 23%. This situation is not one which gives confidence to young people for a meaningful life in Somaliland and that is why scores of them are taking the risk to cross deadly deserts, falling into the hands of the extortionist waylaying gangs dubbed by Somalis as “Magafe” in Libya. This creates unending misery and trauma for the parents, while the society at large suffers from loss of its future generation, payment of backbreaking ransoms and enduring ceaseless grieving of suffering relatives in its neighbourhoods who lost their loved ones. It is established beyond doubt that Khat consumption is the number one problem that Somaliland is faced with at present. It is detrimental to the society’s health, social life and economic wellbeing. However, there is a general feeling of helplessness on how to tackle it in a rational manner. None of the Somaliland Governments saw it as politically and practically feasible to challenge the status quo. Apart from the daunting task of facing the people to ask them to change such deep-rooted habit, governments themselves are hooked to it in several ways: fist due to its reliance on the substantial tax revenue accruing from it, which may amount to around 20% of the national budget (Jeffrey 2015) ; secondly governments do not see any easily available alternative source of sustenance for the thousands of the people that eke out a living from Khat business . Yet, the Government, the wider development oriented national elite and the international donor community have no justification for tolerating a drug that is recognised as the most potent driver of poverty in the Somaliland society. This can easily be demonstrated by simply factoring into the development process, the amount of hard currency spent yearly on chewing, as estimated by Hansen (2010) to be US$ 50 million annually, while in the same year the Somaliland Government’s budget was under US$50 million ; similarly, Jeffery’s estimate in 2015 is slightly higher at US$ 52 million annually, which he sourced from the Somaliland Ministry of Finance . Furthermore, adverse health effects from Khat consumption represent drastic drain in the national resources; its health problems are manifested as ailments in the gastrointestinal, cardiovascular, oral and dental, neurological, psychiatric and reproductive systems. The economic impact from loss of labour productivity and work hours, as well the burden of caring for psychosocial patients’ often within family units, exacerbate its impoverishing effect on the Somaliland society. 3. Pathways to the Tripartite Berbera Port Concession Agreement. Berbera is on the route to and from the Suez Canal and a gate-way to the Indian Ocean, the Indian Sub-continent and the Arabian Sea, and therefore, has immense geo-strategic and maritime trade importance. Yet, the development it deserved has been bypassing it for centuries. Similar strategic ports such Singapore, Dubai and Djibouti have grown in infrastructure and capacities to world standards and have played a pivotal role in the economic development of their countries. The short-term super-power tenancy periods resulted in small expansions of the port facilities and the construction of a military airport with one of the longest run-ways in Africa, which augmented Berbera’s strategic importance. However, apart from rental income and military aid arrangements with the ruling Siad Barre Government, neither of these occupancies resulted in any significant economic benefits accruing to the people of Somaliland, then northern Somalia. The recent renewed interest shown by multiple actors is mainly economic in nature. Some of the interests that surfaced in early 2011 included a combined Ethiopian and Chinese initiative with an ambitious plan which included developing the Port of Berbera, building a railway line to connect Berbera to Ethiopia with the aim to alleviate landlocked status of Ethiopia and to access its huge market potential and also through to the heartland of Africa. The interest of the French Ballore Africa Logistics company may have even preceded it, with long-drawn negotiations, which culminated into the President Silanyo visit to France in January 2014 leading to an early Memorandum of Understanding allegedly signed on 5th February 2014 by the then Somaliland Foreign Minister with the company. Both these initiatives and other less publicized attempts to manage the Berbera Port never got off the ground. Following the above interested groups, the UAE DP World company became a major contender in the competition for the development and management of Berbera, and a more successful one. The government of Somaliland inked an agreement with DP World in May 2016 and attained the approval following a highly polarized joint sitting of the two Houses of the Somaliland Parliament. While the full extent of the Agreement has not been released into the public domain, the core offer which is believed to sway the matter to the UAE favour is the investment of US $442 Million on port development, sweetened with further investments in the improvement of Berbera -Wajaale road, and various other social services project support items including water Supply improvement. From all the contenders to develop the Berbera port, access to Ethiopia’s huge internal market and the business potential of its land locked status, added significant value to any deal to acquire Berbera. Ethiopia was not a passive bystander but was always considered as interested party number one by Somalilanders. However, as outlined in the literature, it lacked the financial and human resources muscle to go it alone in the mega-investments required to bring Berbera up to an international standard container handling port. In addition to resource paucity, it is argued that Ethiopia opted for an indirect strategy letting a third party take the lead role, to attain its aim to secure a stake in Berbera port of Somaliland; that is to save itself from answering the political implications of dealing directly with Somaliland, to be construed as recognition, something which it obviously is not prepared to do at this stage . Ethiopia is a landlocked country and therefore needs a sea outlet to its transit trade. According to the World Bank, Ethiopia is the tenth highest growth country in the world realizing a 10.3 growth rate between 2006 – 2016. The neighboring Djibouti handles at least 90 percent of its transit trade with the outside world. With such a volume of fast growth, it is therefore, obvious that Ethiopia will seek alternative outlets to its growing trade. Berbera is considered to be a highly preferred option among many ports in the Red Sea and East Africa Indian Ocean, due to its proximity to Ethiopia. Moreover, Ethiopia has a close relationship with Somaliland and is the first country to have established a Diplomatic Mission in Hargeisa. Berbera has been handling imports at a small scale for Ethiopia, the bulk of it being UN food aid shipments starting as early as the late 1990s. Apart from relieving possible congestion of its transit trade in Djibouti, it is also important for Ethiopia to get alternative competitive ports service for its transit trade. As shown by John Burgoyne studies, the Ethiopian manufacturing costs of products such as garments, footwear and leather goods are lower than China and India, but its export logistical costs are higher. Therefore, access to the Berbera Port should give Ethiopia a more competitive logistical cost of its transit trade, to enhance its competitive edge in the global export markets. This will further support Ethiopia goals to reach a middle income status in 2025 through export-led development of infrastructure and energy. Furthermore, Berbera’s geostrategic location also fits into Ethiopia’s equally important geopolitical goal of projecting its economic and political power in the Horn of Africa and the rest of the continents. Having a stake of 19% in Berbera port will take Ethiopia closer to that goal; it is interesting to note that since Ethiopia acquired a stake in the Somaliland Berbera Port in March 2018, it is becoming a trend which is favouring Ethiopia in its negotiations with other ports in the region. Now the question in every Somalilanders mind is, we gave the best we had, so what do we get in return. That question should also be raised in both partners’ corridors of power. Berbera is not only a port, it represents the hope of the Somaliland people to leverage their way into international community’s recognition, as well as a vehicle to lift them from the grinding poverty, as did other similar equally strategic ports, which became conduit of development and prosperity to their people such as Dubai and Singapore, and perhaps Djibouti is on its way to such success. The challenge facing Somaliland is to go beyond the tantalizing Ethiopian marketing strategy of leveraging its over100 million population market and to concretely establish how the Somaliland people can benefit from this market. In the eyes of the Somaliland people, during the three decades of cordial political and security relations, the business cooperation between the two peoples has not been very cordial. How the small population of Somaliland is to get open access to the business of the 102 million Ethiopians is not yet obvious to them. The general impression in Somaliland is that up until now, whatever little trade the two countries have is one-way traffic and that is not a healthy business relationship. The other general feeling is that the Ethiopian government is not taking any steps to ease that strain, without of course ignoring the failure of consecutive Somaliland governments’ role as counterparts to the Ethiopian government to champion the de-shackling of the Ethiopia-Somaliland trade. For starters, we have to achieve freer movement of goods and services across the border between the two countries. It is time the two countries signed a Preferential Trade Agreement (PTA), which also safeguards the interests of each country. If the Berbera Deal is to lead to a mutually beneficial situation for the two countries, priority should be given first to negotiating a PTA which address the specificities and concerns of each society in its provisions. Such negotiations shall define the key ingredients of such an agreement, including ‘rules of origin’, ‘safeguards against serious injury’, consideration of ‘balance of payment measures’ and especially robust ‘dispute resolution mechanisms’. Since misconceptions usually abound regarding the fairness of cross-border trade between neighbouring states and societies, the two governments have to lead public dialogue in each of their own countries to discuss the merits and perceived demerits of such a trade. On the Somaliland side, the Khat issue often mars discussions of trade with Ethiopia, in addition to the perception that cheaper agricultural products from Ethiopia undermine the investment and growth of food production in Somaliland. On the Ethiopian side, the worry may be that Somaliland’s free range market economy will open floodgates of contraband goods into Ethiopia. The livestock export trade has also been a sensitive issue when dealing with Somaliland. The PTA’s framework can be used to regulate trade and to overcome the aforementioned concerns in order to move to a state of higher value addition of open trade between neighbours, with benefits in wealth creation far outweighing its perceived short term ills. The UAE is a country with a deep trading culture; in modern times it is recognized as having leadership with profound business acumen and as being one of the most coveted destinations of investment flows in the world. Their intense and successful bid to acquire the Berbera Port of Somaliland is a testament to their vision to remain a significant player in global maritime trade and the leverage that Berbera’s great geostrategic importance affords it. True to the visionary business strategy, its ports business management arm, the DP World, has already outlined the thrust of its Berbera Development strategy: Turning Berbera into a competitive world class container handling port with an economic free zone to create a business hub and gateway to Africa. In the words of the DP World Group Chairman and CEO, Mr. Sultan bin Sulayem, “Somaliland’s development opportunities…has parallels with the start of our own growth in Dubai and the UAE,” adding “Our vision is to make Berbera a trading and transportation hub for the Horn of Africa.” Mr. Sulayem has further outlined their vision in the Berbera Deal, that it represents their interest to extend their footprint in Africa, that Berbera Port’s modernization will catalyse the growth of the region’s economy. He characterized the Deal as a breakthrough to unlock the region’s largest economy, Ethiopia. The above words are in line with the Somaliland people’s and Government’s development aspirations envisaged not only for Berbera, but for the virgin coastal region of Somaliland in its totality. This is an opportunity to link up with the Dubai world-class business hub and its investment potential – a realization of getting the global access that Somaliland needs. Berbera Port and Free Zone development could represent the mothership for the global trending model of the Free Economic Zones’ development, in the image of Jebel Ali Free Zone, for the rest of Somaliland, and can spawn other extension Free Zone services both inland and on the coast, and it is also a commitment that Somaliland is open for global business. The Berbera Tripartite Agreement can lead to an unleashing of the potential of all Somaliland coastal economic transformation. In the same way, it can also provide a bridge to the UAE economy, not only to Ethiopia, but to the depth of Africa through the Berbera Port and its Free Zone Gateway. But for the Gateway to open widely, the Somaliland coastal region has to develop to accommodate such potential. The region is well situated to grow with the predicted African economic transformation boom as well as the Saudi Arabia 2030 trillions of dollars development initiative of Crown Principle Salman. The onus is with Somaliland’s leaders not to allow for the new wave of wealth creation in the region to bypass Somaliland’s people again, left behind only to guard over “xeedhyaha gingiman” (untouched amble resources), in the midst of overwhelming poverty. The Somaliland comparative advantage regarding trade with Ethiopia lies in marine based products such as an abundance of marketable fish types, both culinary and exotic ornamental aquarium fish; salt and other sea products, including the now trendy sea vegetables. Transforming the Berbera deal into a more comprehensive development and investment vehicle on a much larger scale will attract international investment, not only to develop the established Berbera corridor, but towards an integrated economic and business transformation to the benefit of the wider Horn partners societies. This will mean integrating other Somaliland ports and coastal settlements such as Zeila, Bulahar, Lugahye, Karin, Shalao, Hiis, Mait, Onkor, Las Korey and Elanyo into the economic transformative potential of the Berbera Tripartite Agreement. Such economic transformation goals can aim at three overarching economic strategies: first, focus on transit trade to create wider sea access to serve the Ethiopian population from east to west with the vision to reach deeper into the African hinterland’s landlocked countries; second, a strategy for coastal industry development including exploiting the fishing resources of the area in collaboration with all neighbouring states; third, focusing on the tourist industry which is another sector with huge potential that the three partner countries can cooperate to develop and is suited to Horn of Africa economic integration aspirations. The UAE offers a highly developed tourist industry and a tourism savvy population who can appreciate the virgin and high value tourist landscape in Somaliland, including pristine uncrowded and unpolluted beaches hugging the Gollis mountain range (home to biblical Frankincense gum production) which can easily connect beach activities with mountain hiking, the cave art culture of which Somaliland has only scratched the surface but is believed to be found along the length of the Gollis range mountains waiting to be discovered, as well as traditional nomadic culture not far from the coast, with nights out in the karaal, experiencing a life not imagined in the globally connected world of today. For its part Ethiopia offers a relatively developed tourist industry through its world known historic sites, natural tourism resources including mountains, lakes, and the Blue Nile with its Grand Ethiopian Renaissance Dam (GERD), as well as having amongst the most the diverse cultures in the world. This partnership offers an investor’s goldmine. To tap into the immense Somaliland coastal and inland economic transformation potential, supply of secure energy is critical and it can only be accommodated by the hydro-electric supply of Ethiopian GERD. A secure and cost effective energy supply is the greatest impediment to unlocking Somaliland’s economic potential. Somaliland branded itself as the peaceful enclave and stable polity of the Somali region, most of which is plagued by conflict and instability. It warded off successfully the phenomena characterizing the Somali region, such as warlordism, Islamic fundamentalism, piracy and clan fiefdoms . These phenomena thwarted any efforts from most Somali regions to recover from the disastrous civil war and to form a stable central government or regional polities, with the exception of Puntland. Therefore, Somaliland developed growing security cooperation with Ethiopia which is mutually beneficial for both party’s development. While Somaliland benefitted from Ethiopian technical security support for training security personnel, intelligence sharing and overall support of its good offices, Somaliland represented a reliable safe border and friendly society for Ethiopia, acting in many ways as its buffer zone against destabilizing forces . Furthermore, the small but growing transit trade has continued so far without any security breaches or hindrances, establishing a healthy track record for a more robust unfettered inter-country trade. Similarly the security of the Horn of Africa coastal maritime lanes is critical, not only for world trade but as a lifeline for Ethiopia. In this regard Somaliland has also established itself as an important player to keep its coastline free from piracy. Although Somaliland is in political and development limbo which perpetuates grinding poverty and rampant youth unemployment; its people have shunned the temptation to copy its compatriots by turning to piracy. Therefore, for the Berbera Agreement relationship to translate into an in-depth economic interaction of the two peoples, Somaliland still needs to raise its security institutional capacities and to align its other relevant bodies to build a coherent systems of security cooperation with Ethiopia. This is to facilitate trust for both sides to overcome the tradition of hard borders and to move towards softer more trade friendly cross-border engagement between the two countries. This relationship should also foster the goal of regional economic integration, to harness the abundant natural resources of the Horn of Africa region and to turn its diverse national cultures and geographic endowment into leveraging their way into the global competition to benefit from the prevailing phenomenal potential for wealth creation. According to recent studies on the Horn of Africa borders’ informal trade, evidence shows that economic integration should not be a by-product of adequate formal security; rather “that success and versatility of informal trade networks reveal an alternative path to future regional economic integration and demonstrate that cross-border linkages do not have to be mediated by formal institutions.” So far in both the Horn of Africa region and specifically at the Ethiopia-Somaliland border, security concerns remain to undermine the growth of mutually beneficial economic interaction. The study advocates for less of the state security driven approaches and urges harnessing of the existing community centred cross-border trade interactions as vehicles for sustainable business friendly security. An important factor to be kept in mind here is that the communities straddling the Somaliland-Ethiopian border are an extension of the same communities who also populate Somaliland. This will lead us to the conclusion that the peace and stability prevailing along the border since 1990 is also an extension of the same security conditions prevailing in Somaliland. The same social norms and security systems that sustain peace and stability in Somaliland are shared by these communities straddling the border, whether they are citizens of Ethiopia or Somaliland. Therefore, the securitized border culture which is still lingering along the shared border needs to transform towards the promotion of stronger trade and economic interaction beneficial to both states as well as to the communities along the border. This shall be anchored on the understanding that better security can come with people’s wellbeing and their satisfaction to have a living worth protecting. Further in the report (page 44) the author addresses how current Somaliland and Ethiopian bilateral trade cooperation can be suitably transformed into a more formal economic integration, albeit Somaliland’s lack of international recognition and how the Berbera Port represents great opportunity for Somaliland to benefit from such economic integration. The identified common goods ideal for integration in the Horn of Africa region are also relevant for Somaliland and Ethiopian trade: transport systems, responses to the complex emergencies like droughts, locust infestation and periodic cyclone effects; sharing regional wealth of knowledge and governance best practices. However, the report warns against integration being perceived as a solution in itself to mitigate regional conflicts, and that on the contrary it can in fact be source of conflict if “there is lack of transparency and accountability in the negotiations of the agreement and its subsequent implementation” . And that brings us to the urgent need from the Somaliland side for serious due diligence in the Berbera Tripartite Agreement and other venues of trade cooperation that it opens for all parties. While the intention of this paper is to highlight the economic value that the Berbera International Investment Deal can have for Somaliland and its partners, it is public knowledge that the transparency deficiency in the deal-making process created suspicion and opposition to it, which in the public perception overshadowed its economic value. A first step towards addressing its transparency gaps is to do a due diligence exercise on the Agreement, especially from the Somaliland side. Furthermore, some of the issues that beg for clarification are the ways in which each of the three partners are going to exercise their share-rights in practice. And how would the breathtaking developments in the region can dovetail with the terms of the Agreement. For example, though the new developments in Ethiopia and its intense drive to acquire access to all possible ports in the region are good overdue progress for the state and the Horn of Region, the question remains of how that affects the Berbera Deal commitments, specifically regarding the at least thirty percent volume guarantee of Ethiopia’s transit trade business to be handled in Berbera. The value of the Berbera Deal for Somaliland is more weighted in its potential benefits than what can be taken from it in the immediate situation. Both Ethiopia and Somaliland have the opportunity to change the present status quo characterized by separation through securitised hard borders which undermined existing possibilities for wealth creation, not only for the frontier communities, but also for the larger population of the two societies; this will require overcoming a centuries long culture of mutual impoverishment. Similarly, it is a great opportunity for the third partner and the major stakeholder of the Berbera Deal, the UAE/DP World, to have eager partner societies, and geostrategic resources and markets ready for investment. Of no less importance are the added values from their geographic proximity and their deep-rooted cultural affinity with the Arabian Gulf societies. To make the Tripartite Berbera Agreement work, all parties need to unfetter flow of investment resources between the partner countries: first to develop joint institutions which are mandated to advance the full cooperation of the three partners on the Berbera Agreement’s aims and objectives; secondly to reform existing practices toward each other, starting with Preferential Trade Agreements (PTAs) and facilitate business friendly systems of visa rules, registration and licensing of businesses firms and joint-venture initiatives; thirdly to build robust security cooperation which swiftly addresses anything which is “bad for business” and stability. Such institutions can facilitate further the initiatives towards the economic integration of the Horn of Africa region. Similarly, it is critical to connect to other economic initiatives that can have influence on the Agreement such as the Saudi Vision 2030, the Djibouti Free Zone project and above all the China Silk Road global project, to which the Somaliland coast falls directly in the path of its maritime wing. The Berbera Agreement contributes for the Horn of Africa region’s ability to ride the current climate of optimism for Africa’s economic development prospects. Arieff A. (2008) “De Facto Statehood? The Strange Case of Somaliland”, Yale Journal of International Affairs, Page 68. Berhanu Fikade May 22, 29018, The Horn Diplomat. Burgoyne J. 30 Jan 2018, SEEING THE BIGGER PICTURE IN CONCESSION BIDS; PORTS STRATEGY: INSIGHT FOR EXECUTIVES. Meester, Jos et al, April, 2108, “Riyal Politik: The political Economy of Gulf Investments in the Horn of Africa”, CRU Report, Clingendael, Netherlands Institute of International Relations. Kidist Mulugeta July 2014, “The Role of Regional Powers in the Field of Peace and Security: The Case of Ethiopia, Freidrick Ebert Stiftung. Hansen, P. 2010; based on his observations and interviews he estimates around 7500 people are engaged in the transport of Khat from Ethiopia to Somaliland.” In “The ambiguity of Khat in Somaliland”; Journal of Ethnopharmacology 132. Danish Institute for International Studies …, pp. 590-599. ILO 2012 “Labour Force Survey Somaliland Report on Borama , Hargeisa and Burao”, In Somaliland Economic Conference: Growth and Employment, The World Bank, January 2014. Jeffrey J. 16 June 2015, “Khat in Somaliland: economic cure or curse?” Africa Business. Rondos A., “The Horn of Africa – Its Strategic Importance for Europe, the Gulf States, and Beyond”, Centre for International Relations and Sustainable Development (CIRSD). Sally Healy Nov. 2011, “Hostage to Conflict, Prospects for Building Regional Economic Cooperation in the Horn of Africa”, A Chatham House Report, Page ix. Sarah Townsend Nov 6, 2017, “DP World Says to Build Economic Free Zone in Somaliland”, The National. Sultan Ahmed Bin Sulayem, Group Chairman and CEO, DP World. Tedros Adhenom 23 Oct. 2015, “Ethiopia’s Foreign Policy: Regional Integration and International Priorities”, African Programme Meeting, Chatham House.